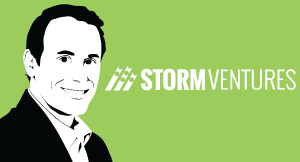 There have been a few successful SaaS startups that were built with little or no invested capital, but Jason Lemkin says it’s tough. This video explains. The enterprise is ultimately the most profitable part of SaaS. If you can close seven, eight figure deals, those are inherently highly profitable. But you need a sales force. You need to invest money, you need to pay six figured salaries. It’s hard. So if you’re going to do that without any capital or with minimal capital, it’s almost always that you come up from the bottom. You don’t have to stay freemium for life, you don’t have to stay a very small business or SME for life. Box started off not as a freemium product and now freemium is less than 1% of Boxes revenue, so you can go up-market. But for most of us it is almost impossible to go true enterprise without capital because we just need all the headcount. There are significant differences between enterprise and consumer startups.